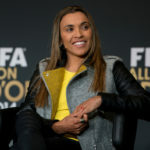 The UN Women has announced the appointment of renowned Brazilian soccer player, Marta Vieira da Silva as UN Women Goodwill Ambassador for women and girls in sport. Ms. Vieira da Silva, popularly known as Marta, will dedicate her efforts to support UN Women’s work for gender equality and women’s empowerment across the world, inspiring women and girls to challenge stereotypes, overcome barriers and follow their dreams and ambitions, including in the area of sport. Marta was born in Brazil in 1986, and is a citizen of both Brazil and Sweden. Widely regarded as the best female soccer player of all time, she currently plays for the Orlando Pride in the National Women’s Soccer League in the United States and as a forward on the Brazil national team. A prolific goal scorer and gifted player famed for her dribbling ability, Marta finished the 2007 FIFA Women’s World Cup as the winner of both the Golden Ball and the Golden Boot for scoring seven goals. Scoring 15 goals at the 2015 World Cup, Marta became the all-time top scorer of the tournament. She was named FIFA World Player of the Year five consecutive times between 2006 and 2010, and was a member of the Brazilian national teams that won the silver medal at the 2004 and 2008 Summer Olympics. She was named as one of six ambassadors for the 2014 men’s World Cup held in Brazil. Growing up in a poor family from the scrublands of Brazil’s north east in Dois Riachos, Alagoas, Marta played street soccer without shoes and was often shunned by the boys she could outplay. Welcoming the new Goodwill Ambassador, UN Women Executive Director Phumzile Mlambo-Ngcuka said, Marta Vieira da Silva is an exceptional role model for women and girls across the world. “Her life experience tells a powerful story of what can be achieved with determination, talent and grit. Sport is a universal language; it inspires and unites us as it stretches our limits. We look forward to working closely with Marta to bring the transforming power of sport to more women and girls, and to rapidly building equality. I am delighted to welcome her to the UN Women family,” she said. 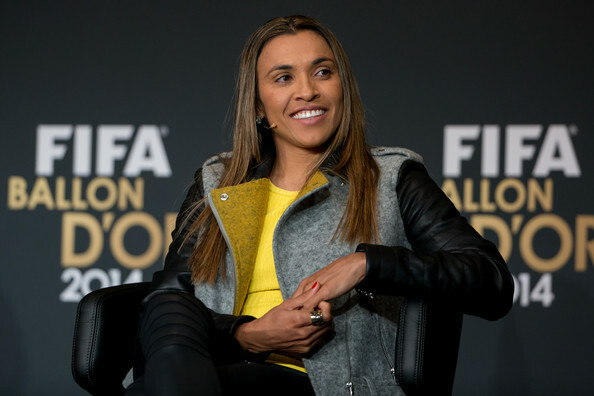 In her response, Marta said it is an honour to become a UN Women Goodwill Ambassador for women and girls in sport. “I am fully committed to work with UN Women to ensure that women and girls around the world have the same opportunities that men and boys have to fulfill their potential and I know, from my life experience, that sport is a fantastic tool for empowerment,” Marta said. Women in sport are more visible than ever before: during the 2016 Rio Olympics, approximately 4,700 women, 45 per cent of all athletes, represented their countries in 306 events. The 2030 Agenda for Sustainable Development adopted by world leaders in 2015 has set the roadmap to achieve gender equality by 2030, and explicitly recognizes sport as an important enabler for development and women’s empowerment. She has previously served as a Goodwill Ambassador from 2010 to 2018 for the United Nations Development Programme (UNDP), during which she promoted international efforts to achieve the Millennium Development Goals (MDGs) with a special focus on women’s empowerment.